If you know anything about Pacejet, chances are you know Pacejet is a Built for NetSuite integrated solution. While we work with other ERPs, NetSuite is an important partner for us: we manage millions of quotes and shipments for NetSuite customers each year. 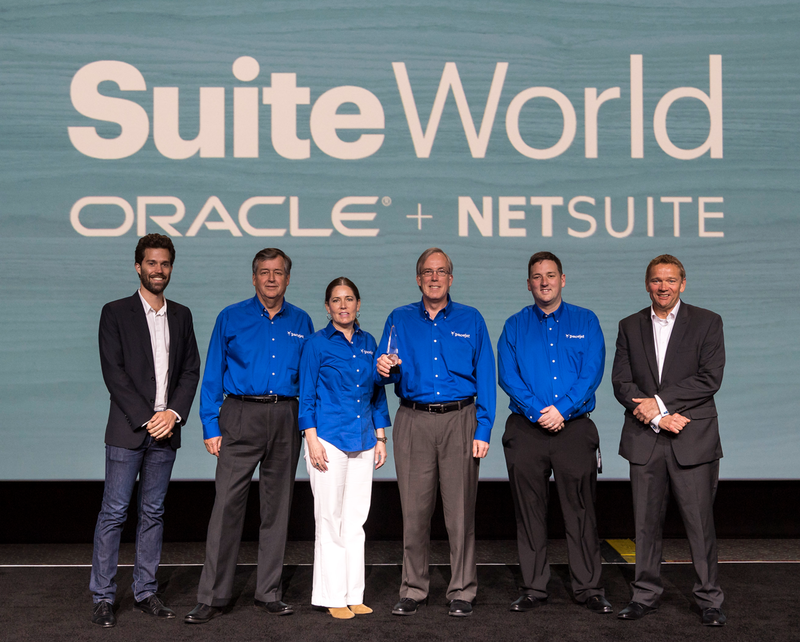 We are proud to share that Pacejet received significant recognition in front of thousands of NetSuite customers and partners at this year's SuiteWorld. NetSuite named Pacejet the 2017 SuiteCloud Partner of the Year, announcing the award at the event, and publishing it on the NetSuite blog. NetSuite recognizes that their network of partners is vital to helping the more than 40,000 companies and subsidiaries that run NetSuite reach their potential. Read on to learn more about Pacejet's recognition and how they help businesses grow through better shipping. Announced by Craig West, VP of Alliances and Channels, and Guido Haarmans, VP of SDN and Partner Programs, NetSuite awarded Pacejet the 2017 SuiteCloud Partner of the Year honor, explaining "An SDN member since 2009, Pacejet has had tremendous success ever since, growing our joint business by 50 percent in 2016 alone. A model partner that consistently strives to be one of the best, its cloud-based, multi-carrier shipping platform is helping NetSuite users manage millions of quotes and shipments with reduced costs and increased efficiency. Its continued commitment to the partnership and investment in the integration has helped NetSuite win many key deals in wholesale distribution, manufacturing and retail." This NetSuite Partner of the Year award speaks directly to Pacejet's mission: creating solutions that transform the shipping dock into a launching pad for profitability. This starts with a best-in-class cloud-based solution, surrounded with the consultative support that enables customers to thrive in the 21st century shipping economy. If you search the SuiteApp marketplace and we know many of you do, there are other shipping solutions out there. 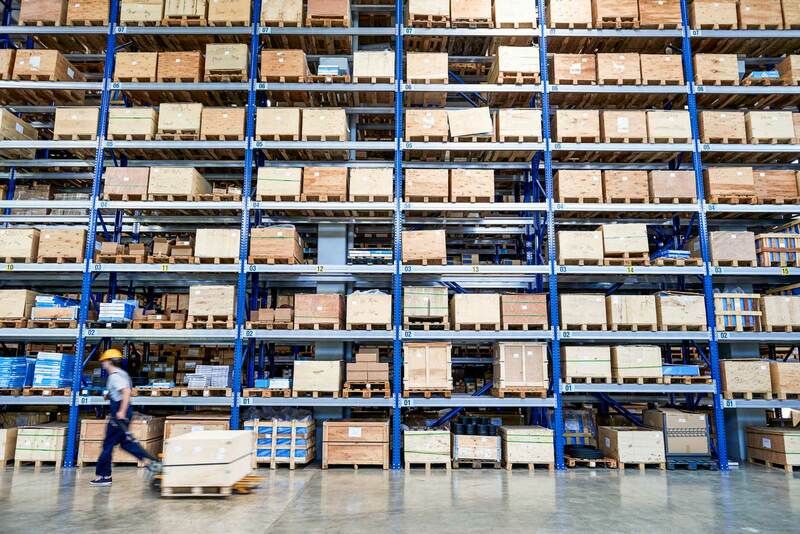 But none of them provide the enterprise level functionality and integration offered by Pacejet or the ability to manage freight, parcel, 3PL, and more with one seamless interface within NetSuite. "Pacejet thanks the Oracle NetSuite Global Business Unit for naming us 2017 NetSuite SuiteCloud Partner of the Year. This is a tremendous achievement for us." said Co-Founder and CTO Ron Lee. "Pacejet is proud to partner with NetSuite to provide the best shipping solution for enterprise-level businesses. We have joint customers in many different verticals and have developed the expertise needed to help companies grow their businesses through better shipping. Pacejet appreciates NetSuite recognizing our commitment to not only make shipping efficient, but to make shipping more strategic through better analytics, industry knowledge, and consultative support. We continue to see this result in tremendous impacts for customer businesses and look forward to more success." This NetSuite Partner of the Year award comes after Pacejet's gold sponsorship of SuiteWorld in April and several key platform innovations. Three major areas for growth during the past year have been with Amazon, international shipping, and custom NetSuite apps. Amazon rolled out Seller Fulfilled Prime in 2016, and Pacejet provided NetSuite customers the ability to comply with stringent requirements, like shipping 98.5% of orders on-time, while allowing them to keep their inventory in their own locations. Having the Amazon Prime badge drives up sales by as much as 20%, which can mean a big revenue boost for growing businesses. Just as customers expect quick and easy shipping in the United States, NetSuite customers are challenged to meet the same expectations internationally. Pacejet began a new partnership with UPS i-parcel, helping companies achieve faster international ecommerce sales growth. Customers report better rates on international shipping, but are most excited about clear duty and tax pricing at the time of ordering, which means no surprise fees for end customers upon delivery. Flexibility is key as businesses expand their shipping capabilities. Pacejet’s RESTful API for SuiteScript has allowed even more customers to create custom NetSuite apps to achieve their business goals. These apps can extend the standard Built for NetSuite solution or provide stand-alone NetSuite shipping/quoting functionality. Pacejet’s API has helped customize the NetSuite solution for Fortune 1000 companies, top internet retailers, and fast-growing manufacturers. Pacejet transforms the shipping dock into a launching pad for profitability. This starts with a best-in-class cloud-based solution, surrounding it with the consultative support that enables customers to thrive in the 21st century shipping economy. For more information on Pacejet, visit http://pacejet.com, call 877-722-3538, or email info@pacejet.com. Interested in learning more? Contact us today. Visit http://pacejet.com, call 877-722-3538, or email info@pacejet.com.